A content audit is a detailed inventory of all the content you have on your website. This audit typically takes place in the form of a spreadsheet which details the URL, word count, date, type, and metadata for each page. You will then pull relevant metrics, so you can analyze the results and pull out key points, such as the fact that longer posts are performing well, or your product descriptions aren’t getting the engagement you’d hoped for. Use these tips to make sure you’re getting the most out of every audit. While you should touch on all of these at some point in time, it’s often better to conduct more frequent audits, each with a smaller focus, than it is to do one annual audit that offers an overabundance of information. When you’re focused on a few metrics at a time, you can better assess your performance and identify a plan to improve your numbers going forward. Choose a few key areas that have priority right now and give your attention to these for a successful and actionable audit. 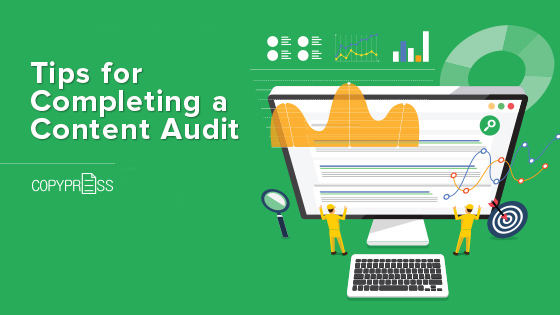 If your content audit is performed as one annual project, you’re missing dozens of opportunities to tweak your strategies and improve performance throughout the year. You should audit your content regularly. Shoot for quarterly audits at a minimum. If you’re struggling to find your groove, you may want to audit your content even more often. When you perform frequent audits, you’ll have a better understanding of your short- and long-term evolution. It’s not uncommon for pages to take months or even years to really start performing at their peak. That’s why evergreen content is so crucial in most niches. Check in frequently and see how things are evolving. This will give you the information you need both for immediate action and successful long-term planning. It’s important to put the right people in charge of your content audits. A writer or editor will know how to best analyze the quality of your content and provide you with insight on how to improve it. This individual can help you ensure that branding, style, and voice are consistent across all pages. An SEO expert or marketing professional should also get involved with the project, assessing your keyword choice and placement. Make sure this person is well-versed in all your branding strategies and marketing campaigns, so they’re optimizing properly around the words and phrases that are most relevant to your business. An experienced web developer can assist on the tail end of the audit, as you’re discussing restricting certain parts of the site or potentially getting rid of certain pages. If you’re not familiar with your site’s architecture, you shouldn’t attempt this on your own. Your content audit should include all the content in your system, not just recent posts or those that are categorized in your blog listing. This means you need to dig up and audit those orphans that are floating around the site as well. You might be surprised to locate a forgotten orphan that’s performing exceptionally well. Adding this page back to your site in a more meaningful way can offer great benefits. Orphaned pages that have irrelevant or outdated content might be better off eliminated from your site entirely. If you’re not sure how to locate orphans like these, this is the time to call in that web developer on your team. Having the right professionals involved in the audit will help you get all the information you need. Make sure your content audits are actionable and include a plan for every page you’re working with. Your audits will fall flat if you’re simply gathering information without acting on it. While your audit should certainly inform your content marketing strategy for the future, it will also give you key information on what to do with the content that you already have. Some options for your existing content may include updating it with more recent facts, redirecting pages to a more relevant destination, redesigning current pages to better align with your branding, or archiving information that’s not necessary anymore. 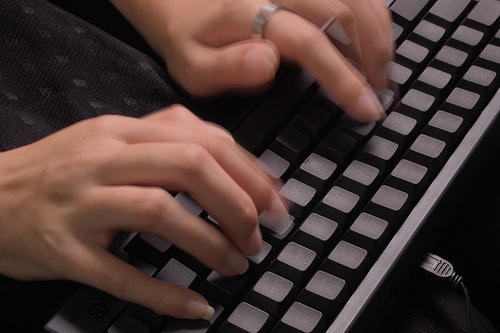 Cleaning up your current content is just as important as crafting fresh content for your site. Don’t let the drive to produce more pieces overshadow the critical nature of properly maintaining what you already have. Your content audit may have prompted you to do an extensive amount of work refreshing and refining your site, but most of that effort will go overlooked if you forget to touch base with Google when you’re done. You need to let Google know that you have something new on board and that it’s time to check it out. Use the Fetch as Google tool to simulate Google’s crawling and rendering process. This will help you do one final debug to complete your audit and subsequent update. Once you’re confident that your content is where you want it, you can ask Google to recrawl your site either by submitting a sitemap or by using the URL inspection tool. Done right, a content audit will give you all the information you need to properly update and manage your site, while developing effective marketing strategies for the future. Audit your pieces often so you always have a finger on the pulse of your content marketing efforts.